There are times when a man passes away that another adult or minor comes forward and claims to be that man’s child. This person, known as a putative child, may have the right to prove their paternity during the probate process. If they are the man’s biological child, then they may have the right to pursue assets from the estate as one of the decedent’s beneficiaries. However, a paternity dispute during probate is not a simple matter. If you believe your biological father has recently passed, contact an experienced and skilled Florida probate attorney for help. Whether or not a putative child has the right to seek to establish paternity during probate depends on whether the statute of limitations for a paternity suit has passed. According to the Third District Court of Appeal in Florida, a putative child must seek to establish paternity within the statute of limitations, which is four years from the date the child reaches the age of majority. Essentially, if the putative child is under 22 years of age at the time of probate, they can petition to have the beneficiaries ascertain and prove their biological relationship with the decedent. If the putative child is over 22 years old, then it is likely that the statute of limitations has passed. It is important to note that a putative child can prove paternity in a few ways. The most common way people consider is through a genetic test. However, if this is not possible or the court will not accept DNA evidence, then the putative child must seek to prove the relationship another way. They can do so through a writing. This could be a birth certificate, an affidavit from the decedent, a beneficiary designation n a life insurance policy, a personal letter, or another type of writing. The writing does not have to be any specific type of document. If there is a question of the putative child’s rights in regard to intestate succession, then the child may be able to prove they are the decedent’s child if their parents participated in a marriage ceremony before or after they were born out of wedlock, even though the marriage was void, or if paternity was adjudicated before his death in another court. Can a Previously Unknown Child Benefit From the Estate? If the putative child seeks to establish paternity within the proper time and it is established that they are the decedent’s biological child, the next step is to determine whether they can receive anything from the decedent’s estate. If the decedent died without a will, then as a beneficiary, the biological child is entitled to their intestate share of the estate. The amount depends on whether the decedent left a surviving spouse and other children. If the decedent left behind a valid will, then the biological child’s rights depend on the wording of the will and state law. If the decedent specifically left property and monetary amounts to certain individuals, then the child may not receive anything. 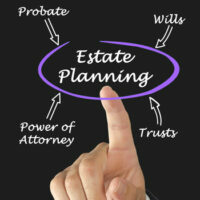 The court will uphold specific bequests. If the decedent’s will provided for beneficiaries in a more generic manner, then the biological child may be included. For instance, if the will stated “I leave all of my beneficiaries equal parts of my estate” or if it stated “I leave my estate to be divided among my children,” then the biological child may receive a portion of the estate. However, this will depend on multiple factors and a putative child should speak with an experienced attorney. To learn more about paternity disputes during probate, contact the Law Offices of Larry E. Bray, P.A. as soon as possible. Our West Palm Beach legal team is eager to assist you today.